It continues to be a busy event season here at Moody. 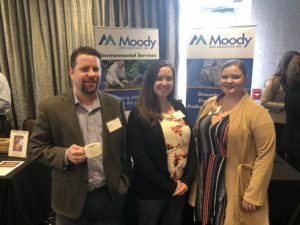 Here is a photograph of Matt Mitchell, Jessie Bobrzynski and Amanda Love at the Washington County Chamber of Commerce – State of the Economy event held on March 28th. A great half day event hearing about all of the positive news coming from the home of our Houston, PA office.